A potential inflection point for emerging markets has been a recent topic on this site and among our trades and trade ideas for Members. Simply put, we have been looking for the rather large spread this year between domestic equities outperforming and emerging markets lagging behind to narrow. We played a China long via YINN two weeks ago, spilling over into last week. And are stalking another entry into that product pending the FOMC reaction tomorrow afternoon. Furthermore, as we charted on social media earlier this afternoon, the EEM ETF (for all four "BRIC" nations combined) is basing tightly albeit still at a declining 50-day moving average and still, of course, in the context of an overall corrective chart. Still, the prospect of a contrarian long thesis for emerging markets in general seems to hold water given the recent price action amid America's tech giants slumping--One would think if the rotation thesis were merely pie-in-the-sky, then EEM would have actually sold off twice as hard as, say, NFLX. Instead, EEM caught a bid while FB NFLX, and many others, faced a long overdue unwind. 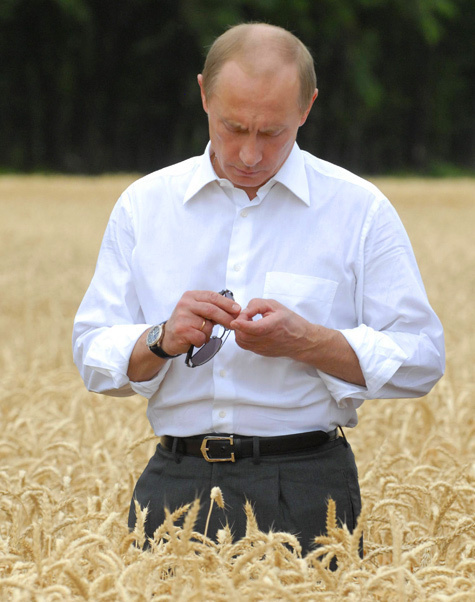 Going forward, another correlation is worth tracking pursuant to emerging markets: The wheat soft commodity. 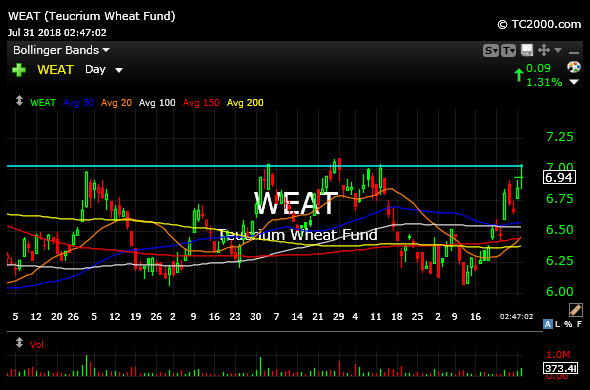 Wheat, of course, operates on the underlying supply/demand perception by the market. But three of the top four producing nations in the world are emerging markets: China, India, and Russia (followed by the U.S.). On the WEAT fund daily chart, below, note how wheat has taken the baton this summer from cocoa in terms of being one of the more compelling soft commodity charts on the long side. The $7 area is an obvious resistance level to clear. But wheat's strength has, interestingly, directly correlated with EEM's and may very well prove to be a nice litmus test going forward for any potential emerging market revival on the back end of 2018.